Looking East down the South Choir Aisle, with the Chapel window on the left. 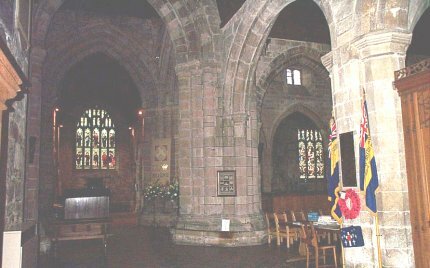 On the right is the window of the South Transept. The flags and wreath surround the World War II memorial.